The Australian wilderness presents a vast array of conditions for the avid adventurer. One of the most important safety tools in these situations is a reliable radio communications unit. 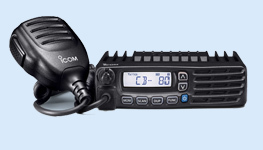 The Icom range of UHF CB equipment is based on tough military specifications, and offers some of the most advanced features in communications today. Icom’s IC-410PRO, IC-41PRO and IC-450 UHF CB units are also fully compatible with the new changes to the UHF CB network, which has 80 channels. 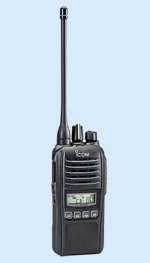 Icom UHF CB – built tough like the Australian landscape. UHF CB equipment is permitted for licence-free use in Australia and New Zealand under each country’s relevant communications regulation. Use outside these countries may be deemed illegal, and as such, you may face prosecution. 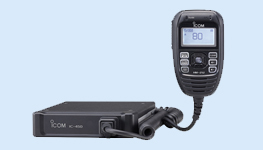 Before using Icom UHF CB equipment (IC-450, IC-410PRO and IC-41PRO) in other countries, we recommend that you investigate the relevant communications regulations, to ensure that the product is suitable for use in your intended destination.